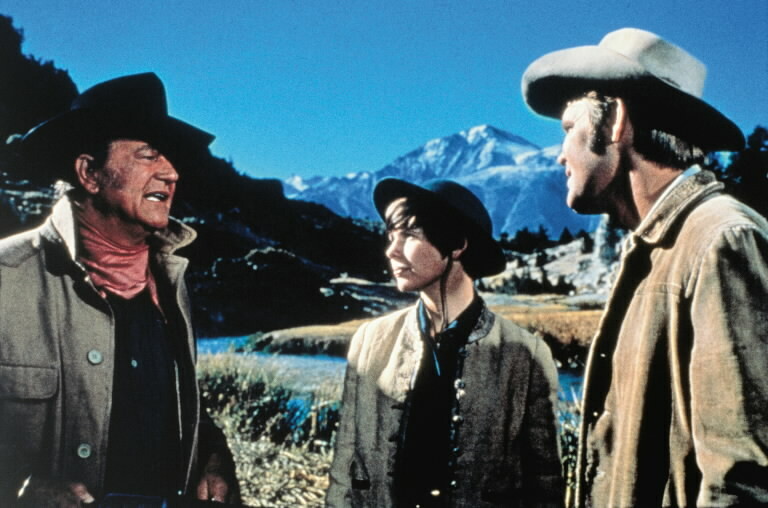 With its release in 1969, Henry Hathaway’s original adaptation of Charles Portis’ True Grit breathed new life into a tiring Western genre. The Spaghetti Westerns of Sergio Leone had stolen the interest of a culturally evolving American audience, one whose values were transforming in relation to the major changes happening in the world of pop culture, and the changing social norms. The classic Western had become dated and it was in desperate need of a great story with some real edge. True Grit provided both, with the iconic John Wayne at its helm as cantankerous US Marshall Rooster Cogburn. Cogburn is the drunken, uncouth, and totally fearless one-eyed law man hired by the headstrong, 14 year old Mattie Ross (Kim Darby) to find the man who murdered her father. The old gunslinger learns quickly that his new employer means business when she insists on accompanying him to avenge her father’s death. Amidst all the gun fights and archetypal Western dialogue, a wonderfully well-written relationship starts to bloom into a unique and unlikely friendship. John Wayne clearly deserved the 1969 Academy Award for ‘Best Actor’ that his fantastic performance entailed. As Rooster, Wayne not only rekindled the type of character that he had built his career on but also allowed a new generation to recognise the brilliance and beauty that could be found in the Western genre as a whole. Hathaway’s True Grit recognised a changing America, and the director should be applauded for his part in making a film, that could have easily flopped, seem fresh and relevant. He took the iconography and clichés of the Classic Western and used them to win back the favour of an audience who had already fallen in love with its younger, cooler brother – the Spaghetti Western. True Grit’s brilliantly crafted moments of wild and frenzied action, hilarious dialogue (courtesy of Portis himself) and beautiful cinematography (from cinematographer Lucien Ballard) helped it to compete with the hugely popular film’s of Leone. Its story of a tough, intelligent, and brilliant girl who stands up to avenge her father’s death – regardless of the archaic values of the men who surround her – struck a chord with a new look America that was finally starting to embrace equal rights for all, casting aside the tired old values of the old men who once controlled everything. It comes as no surprise that a film with such character and “grit” is about to be given its highly anticipated rebirth courtesy of the superb Coen brothers, starring Jeff Bridges, Matt Damon, Josh Brolin and Hailee Steinfeld. Despite this new interpretation approaching Portis’ original story from a slightly different angle, it should hopefully remind people of the timeless quality of Henry Hathaway’s original feature.